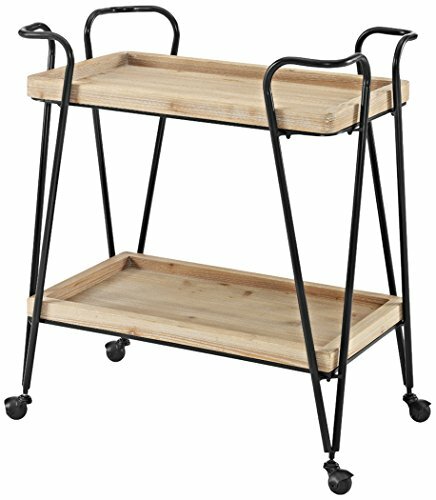 Mid Century design meets versatile utility and storage with this Judy bar cart. The spacious top and bottom shelf provide ample room for bottles, glasses and other bar necessities. Durable castors make for easy mobility around your space. Matte Black edges and wood surfaces give the piece a rustic charm. Floor to Bottom Shelf: 8.86"
If you have any questions about this product by Linon, contact us by completing and submitting the form below. If you are looking for a specif part number, please include it with your message.